Pikes Peak in McGregor, IA Located south of McGregor in NE Iowa, Pikes Peak State Park is the place to be during the fall season! 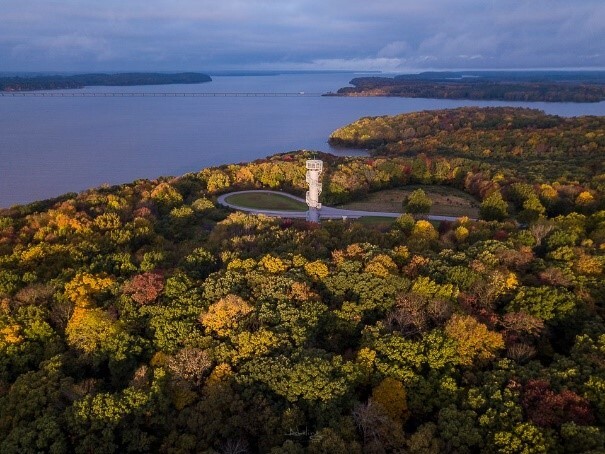 Get out and stretch your legs to get a view from the highest point on the Mississippi River...anywhere. Take the short hike to Bridal Veil Springs while you're there, too. Have you been to the top of the Cordova Tower? 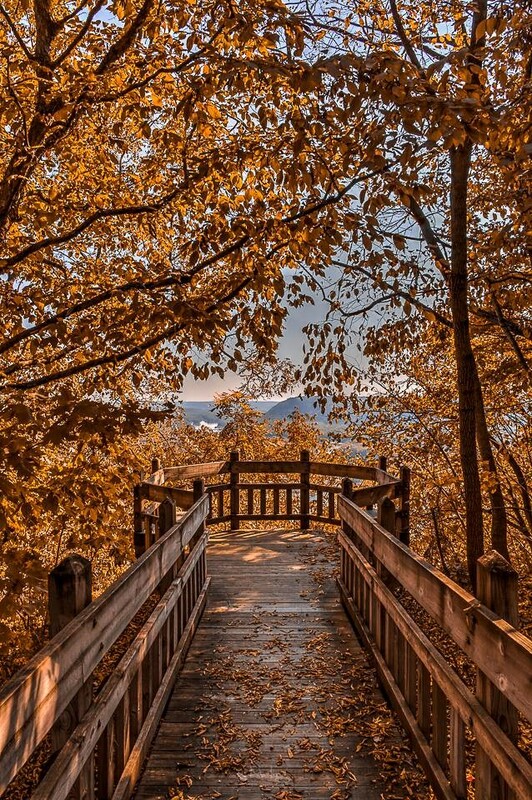 It's a great view of the lake and the fall colors - don't forget to take two quarters per person with you, as the turnstile to get to the top only takes quarters!. On a clear day you can see the Principal building in Des Moines. The bridge is half a mile long and 130 feet high, and said to be among the largest trail bridges in the world. In fact, BBC named it one of the eight most amazing footbridges in the world. At night, many of the steel frames are lit to provide a tunnel-like effect for cyclists and pedestrians. 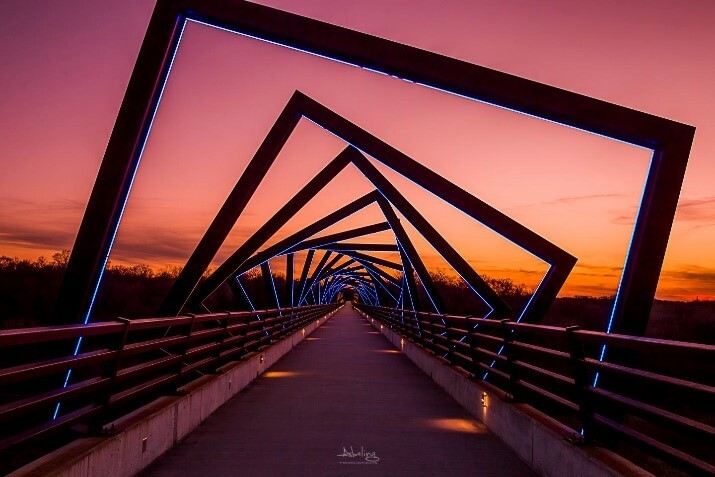 It's located on the High Trestle Trail between Madrid and Woodward, Iowa. It's located in Green Island on Highway 52 in Jackson County and home to local barn dances. 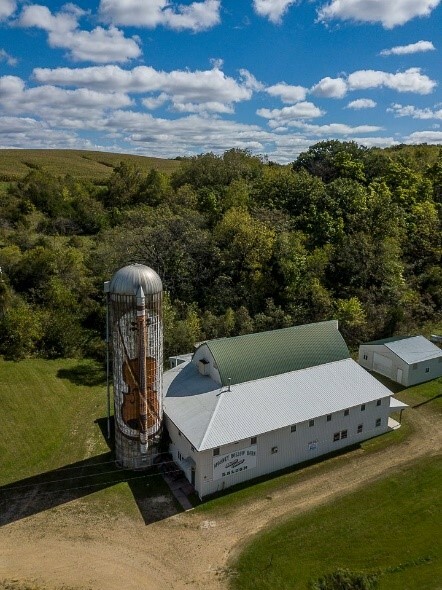 Also an interesting roadside attraction with the violin on the silo! 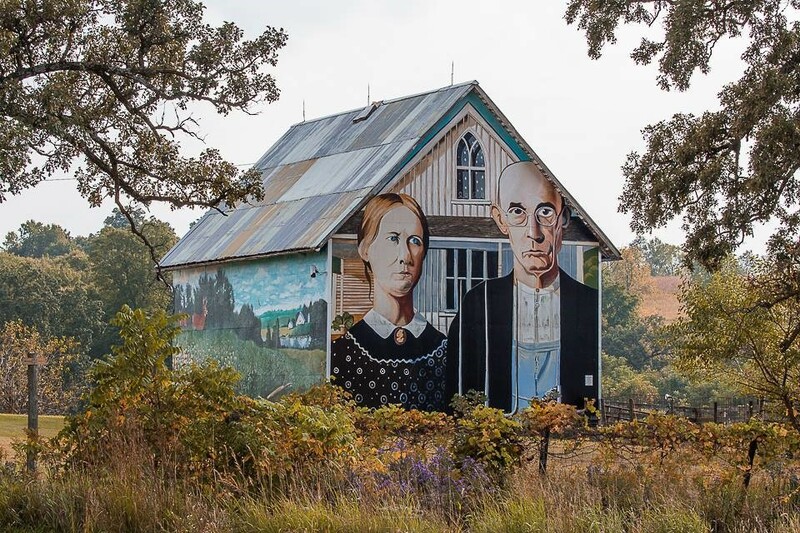 It's located on Highway 30 west of Mt. Vernon and just east of the entrance to Palisades-Kepler State Park. 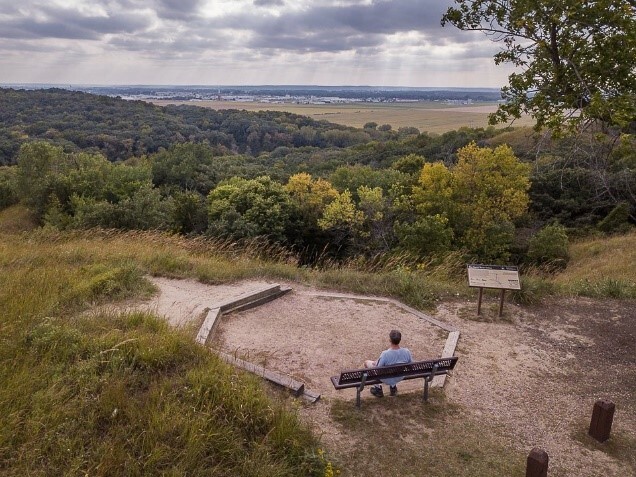 Located north of Sioux City, on the border between Woodbury and Plymouth County, this park has numerous scenic overlooks of the Loess Hills area.